This week has been h-e-c-t-i-c, when I've not been at work, I've been dissertation writing and revising for a German exam I had on Thursday. It's safe to say I've not much free time and it's definitely been a week for enjoying the little things that manage to brighten up a day filled with endless amounts of university work so, here are some of those little things that made me smile this week and, just as a heads up, it's mainly food because, well, yanno... study snacks! The Pret vegan cookie. 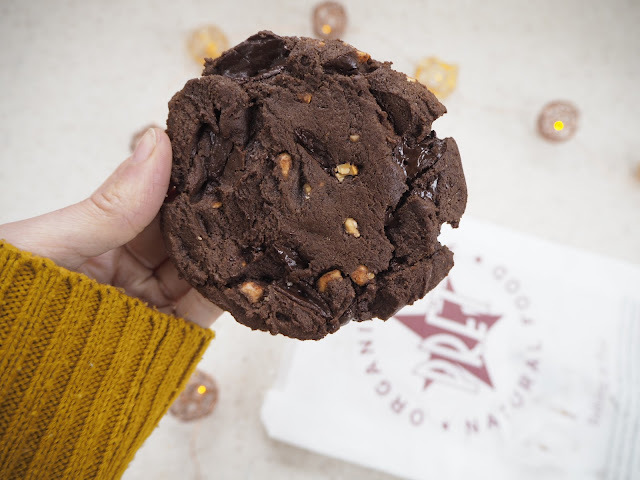 Pret released a new menu a couple of weeks ago and one of the, seriously amazing, new additions was a dark chocolate and almond butter cookie that's vegan friendly and quite possibly one of the best cookies I've ever eaten! I finally got my hands on one this week and it was everything I could have hoped for, slightly crunchy, chewy on the middle, nutty and full of melty chocolate. If you haven't tried one yet, get yourself to a Pret right NOW because I'm telling you, you need this cookie in your life! A new lens. 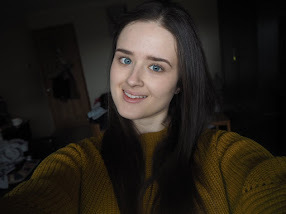 I've been wanting a new lens for my camera for ages now but because of a) an inability to decide on the ideal lens and b) an inability to afford the ones I wanted, I've spent the last few months saving and deliberating. This week I finally settled on a new wide angle lens and I'm so excited to put it to some good use! Fight club. Along with our Saturday night pizza this week, Jay and I decided to watch Fight Club. After finishing the movie, I was left wondering how I'd managed to go for so much of my life without watching this film because it was seriously good. Rainy days. Although rainy days don't always make me happy, a rainy week came at just the right time this week. A week of rain gave me no choice but to stay inside and power through my work and, because it's never nice to be outside in the cold and wet, the rain made my work just a little bit easier. Carrot and coriander soup. There's just something about rainy days that leaves me really craving soup and a warm bowl of carrot and coriander soup with some fresh sourdough definitely hit the spot when I got home from work this Friday. There's really no cosier feeling than sitting in your pjs with a cuppa and a bowl of soup while it's pouring rain outside. Sweet and salty popcorn. I'm not sure why, but sweet and salt just works - especially on popcorn. It's quite possibly one of my favourite snacks, its (probably too) moreish and it made the perfect movie snack for Saturday evening's Fight Club viewing.